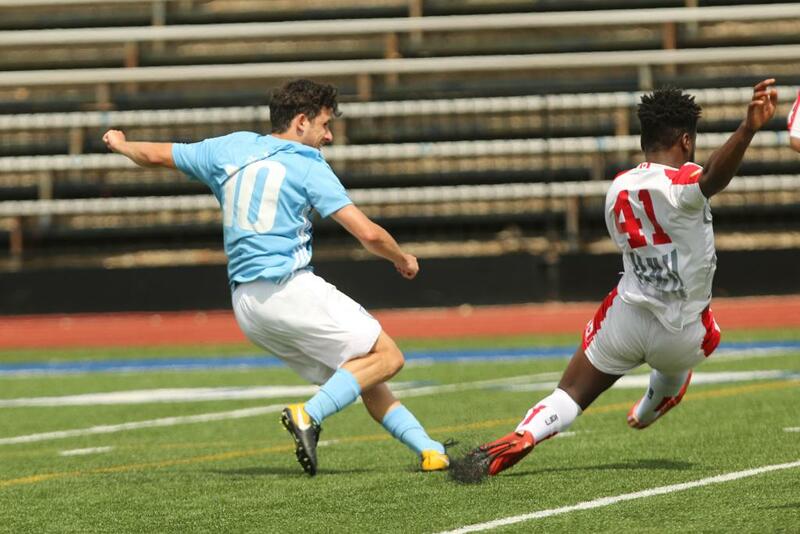 The Kaw Valley FC Cranes and WSA Winnipeg will face-off two times in 2019 after KVFC swept their three meetings last season. WSA Winnipeg is a Canadian soccer club based in Winnipeg, Manitoba. The team plays its home games at the Ralph Cantafio Soccer Complex and went 0-14-0 in their 2018 campaign. May 25th in Lawrence: 2-1 Win. Miguel Yuste scored in the first minute scored for KVFC and Tucker Stephenson curled in a beauty early in the second half. WSA pulled one back in the last five minutes but the Cranes held on for their first victory in team history. May 27th in Topeka: 4-1 Win. The Cranes scored early and often in the Sunday afternoon victory. Prichard Sibanda, Tommy Fiszel, Adrian Gutierrez, and Tucker Stephenson all tallied goals for KVFC. July 13th in Winnipeg: 4-2 Win. In the first half, Tucker Stephenson scored two goals to enter half a goal up on the home team. During the second half, the Cranes poured in two more goals from Daniel Kozma and Ethan Bowman, a minute apart.